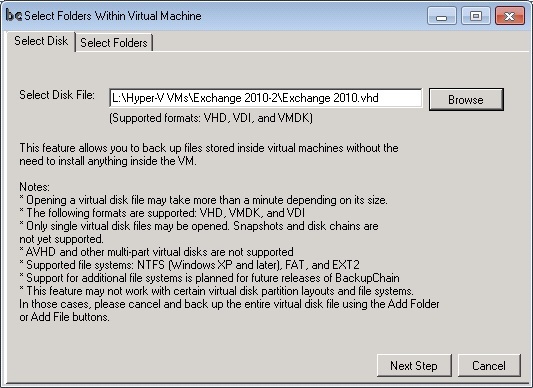 What is Granular Backup for Hyper-V? Granular backup for HyperV is an great backup method introduced by BackupChain backup software that allows users to access and protect individual files and folders residing inside a virtual machine, but from the host and without agents inside the virtual machine (agentless). You simply run BackupChain on the host and select files or folders inside the virtual machine’s file system and BackupChain takes care of the rest. 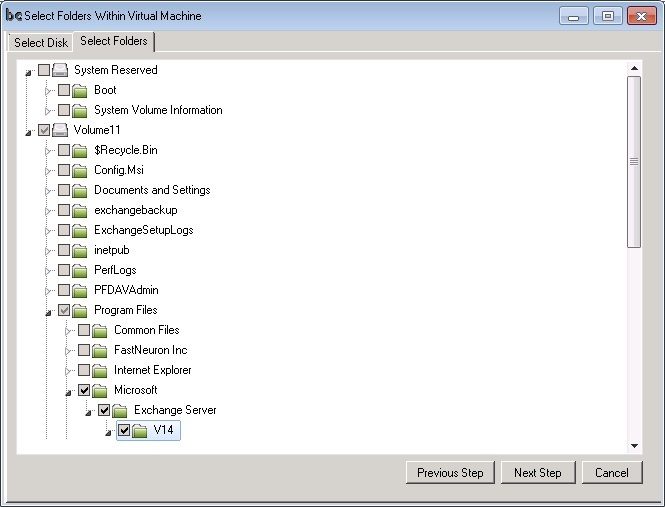 The above example uses Granular Backup to open an Exchange Database located inside a VM. Now the backup will use all default settings and apply them to the virtual machine folders you selected. Task #1: Backup up full virtual machine say every week or night.